I mainly use E75 for emails,messaging,calls.Looking for Nokia with larger screen/QWERTY keyboard.How doesit differ from N900-i.e. intended as Business or private phone ? People... how can you be asking the price of a phone that does not exist? Use your brains. Another thing.... to those of you who suggest nokia should use android or windows phone 7 for new devices, it's not gonna happen in the foreseeable future. To Secret..... where exactly are you getting your info from? The "n9" will use (hopefully) meego and not "an updated version of maemo 5" or whatever you said. Seriously, where did you pick that rubbish news up? 64 gb internal is this ri8? OH WHAT? A Symbian phone? Nokia said that N8 is the last Nseries that uses Symbian OS and why the GSM Arena putted a OS is Symbian? Nokia is uses MeeGo for the future OS like N9. Symbian? What a waste. When will we finally have the famous Meego? dbrown, 09 Sep 2010symbian killed it for me! !It'll be MeeGo, not Symbian. N9 will have MeeGo not Symbian. 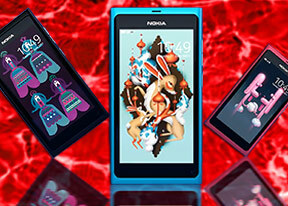 The Nokia N9 will not be carrying Symbian^3 but MeeGo. symbian killed it for me!! its a good mobile but its better u buy a laptop instead of it...i lost 10k just because of this mobile.